There is one sure thing about programming: you should try to improve your set of skills in a regular way. There are several different methods to achieve this kind of result: reading books and blogs, working on your own pet project and doing pair programming are all very good examples of this, but today I want to introduce you code kata. What is a kata? Well, since you ask, you won’t mind if I digress for a while first! In Japanese, the word kata is used to describe choreographed patterns of movements that are practised in solo or possibly with a partner. Kata are especially applied in martial arts because they do represent a way of teaching and practicing in a systematic approach rather than as individuals in a clumsy manner. If the concept of kata is still not clear (shame on me!) you just need to watch again the movie Karate Kid. For the whole movie Mr. Miyagi San teaches Daniel LaRusso the importance of kata and we know that Miyagi San is always right! The basic concept behind kata is fairly simple: if we keep on practicing in a repetitive manner we can acquire the ability to execute movements without hesitation and to adapt them to a set of different situations without any fear. Pretty cool uh? Coming back to the good old world of software developers (and especially Erlang ones) we may ask ourselves: “how can we apply the concept of kata to our daily routine?”. David Thomas (one of the authors of “The Pragmatic Programmer”) introduced the concept of Code Kata which is a programming exercise useful to improve our knowledge and skills through practice and repetition. The interesting point of code kata is that usually the exercises proposed are easy and can be implemented on a step-by-step fashion. Let’s do Kata togheter Daniel san! In this post I will write the tests and the logic inside the same file even though I know that this is not a good practice. Remember: you should never mix logic and tests in the same file. Usually what we do in Erlang is creating a test directory at the same level of ebin and src and save all our tests there, anyhow this is somehow out of the scope of this article which is about kata and I want to write this post only using one Erlang file, so forgive me for this horrible sin and let me start with our kata! Failed: 1. Skipped: 0. Passed: 0. Rember a failing test is a good news here, because as Kent Beck says: “failure is progress”. Our first test is failing for an obvious reason: we don’t have a function evaluate/1 in our module, so we can start by coding a dumb implementation for evaluate/1 that makes our test pass. %% Test that given a number divisible by 3 we return the string "Fizz"
Failed: 1. Skipped: 0. Passed: 1. As expected the test is failing, in fact we didn’t add any new functionality to our code and therefore a failure is still a good news. Let’s make the test pass then! I suggest you to take a deeper look at the KataCatalogue you find at http://codingdojo.org. 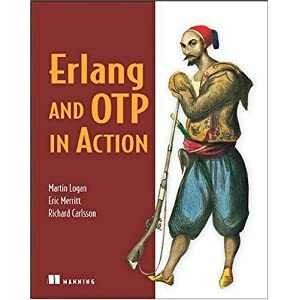 if you want to learn more about EUnit and Erlang testing in general I recommend you Gianfranco Alongi’s blog. last but not least I strongly advice you to read Kent Beck’s book: “Test Driven Development by Example” which is a must have for all the developers out there! http://www.reddit.com/r/dailyprogrammer is also a nice source for small kata’s for different skill levels. Learning requires *repetition* and *time* — for mortal beings like me, at least. From what I gather, the concept of kata captures this first aspect of the learning process. What about time, then? Indeed, katas are a fascinating concept, yet it is not completely clear to me how to dovetail them with routine activities: after having spent a day staring at the screen, my mind is not fresh enough to do programming exercises! Oh, and thank you for the reading suggestions! Yes, but you should keep in mind that “study” can be a part of the work routine in many companies (as in the company where I work) and kata can be done during the study. But how did you manage to successfully compile fizzbuzz by the first time? I tried it and got “function evaluate/1 undefined” error. the first time it obviously fails because the function is still not implemented. In this way we can prove that the tests are working.